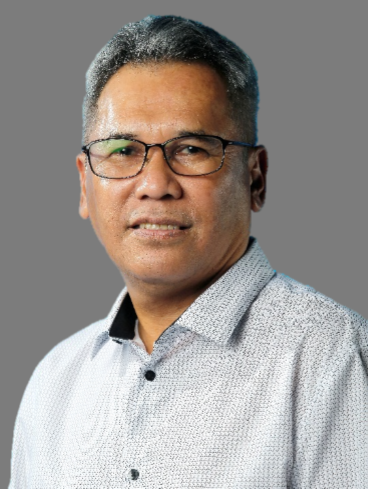 Mustapha Kamil Mohd Janor is the Interim Chief Executive Officer of The New Straits Times Press (Malaysia) Berhad beginning April 1, 2019. He assumes the position of Executive Director of News and Editorial Operations, Media Prima Berhad (Media Prima), effective October 2, 2018. He also sits on the Boards of Sistem Televisyen Malaysia Berhad. As Executive Director, Mustapha Kamil will be responsible for the overall operations of Media Prima news and editorial functions. He will provide the strategic direction and oversight of Media Prima Television Networks and NSTP news operations, and will focus on optimising the Group’s news resources in-line with Media Prima’s business transformation efforts. He began his career as a Cadet Reporter in NSTP in 1989 and held various positions in the Company. In 1994, he attended the Advanced Journalism course, The Thomson Foundation in Cardiff, Wales. In 1994, he was a Reporter at New Straits Times’ (NST) Business Times and later served as NSTP’s Foreign Correspondent in New York, U.S. in 1999. He returned to serve as Business Times’ Managing Editor in 2001. Mustapha Kamil was promoted as NST’s Group Editor in 2013 until his resignation in May 2016. Yushaimi Maulud Yahaya is the Chief Operating Officer, NSTP. He was appointed to the position on April 1, 2019. He has more than 26 years of experience in journalism, starting his career as a cub reporter with the Malay Mail after graduating from the New Straits Times Press Pre-Entry Training scheme in 1990. In 2002, he was one of the two Malaysian journalists chosen for the Nihon Shinbun Kyokai/ Japanese Press Foundation fellowship programme. Upon his return, he was tasked with setting up four new bureaus for the Malay Mail, which was then part of the NSTP group, in Penang, Johor, Malacca and Perak, in 2003. In 2004, he was promoted to Assistant News Editor. A year later, he was transferred to the New Straits Times as News Editor. In 2006, he was promoted to Chief News Editor for The Malay Mail and Sunday Mail, before becoming Deputy Editor in 2007. He assumed a string of roles, including Acting Chief Operating Officer, Executive Editor (Production), Editor and subsequently Editor-in-Chief in 2010. He was also Group Editorial Advisor for the Redberry Group, which had bought The Malay Mail title, and was engaged as a consultant for a news portal revamp. Yushaimi re-joined NST in November 2012 as Executive Editor (News), in charge of the general news, political, crime, probes, Streets, sports, Sunday Times and online desks; as well as the bureaus. In March 2015, he was made Deputy Group Editor. As a writer, he was the recipient of the Malaysian Press Institute Best English News Report and Best Investigative Report awards in 2003 and 2014 respectively. He was appointed Group Editor of New Straits Times on March 1, 2017. Later on January 1, 2018, he was appointed to the position of NSTP’s Editor-in-Chief. Yushaimi was also the Treasurer of New Straits Times Press National Union of Journalists Malaysia from 2001 to 2004, and the National Assistant Treasurer of the NUJ in 2004. He was also Deputy President of the National Press Club from 2011 to 2013. 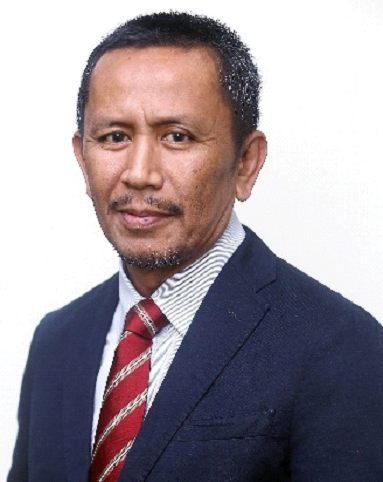 Rashid Yusof was appointed as Group Editor NST on January 1, 2019. Rashid’s association with the NSTP started in January 1985. A four-month internship at the Business Times was later followed by a stint as a New Straits Times stringer in Alor Setar. In September 1986, Rashid joined the NSTP, as a reporter with The Malay Mail. In September 1996, Rashid was made the NST London Correspondent. He wrote a column, Sri Ombudsman, in Business Times in the 2001/02 period. The column later appeared in The Malay Mail. Rashid was appointed Associate Editor, NST in March 2010 and promoted to NST deputy group editor in November 2012. 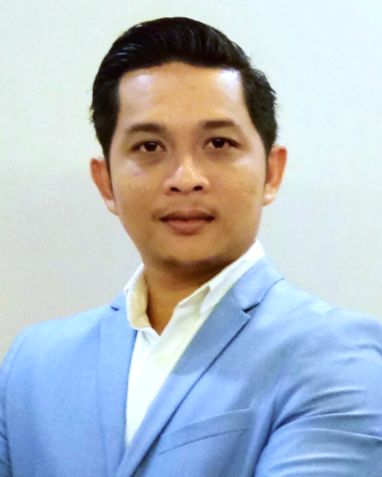 Khaidir A. Majid was appointed as Group Editor BH on January 1, 2019. Khaidir holds a Bachelor Degree (Honours) in Jurisprudence (University of Malaya) and a Diploma in News Agency Journalism, Indian Institute of Mass Communications New Delhi. 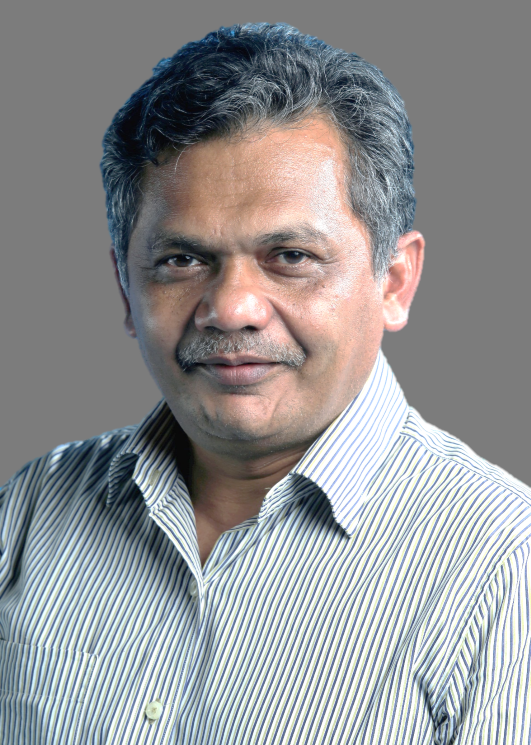 He started his career in journalism in 1983 as a journalist in Bernama. Since then, he moved up the ladder holding many distinguished editorial positions which include; Chief News Editor Business Times (2010-2011), Foreign Editor Berita Harian (2007-2010), News Editor Berita Harian (2004-2007), Economics Editor Berita Harian (1994-2004). Throughout his journalism career, Khaidir has covered visits by Malaysia’s Prime Ministers to over 30 countries. In 2006, he was the only Malaysian journalist to enter Lebanon to cover the Israel-Hezbollah War when the conflict was at its height. Tuan Mohamad Asri Tuan Hussein is the Group Editor of Harian Metro. He was appointed to the position on February 1, 2019. Tuan Asri, 50, who has about 26 years of experience with HM, will be responsible for the overall news and editorial operations of HM. Prior to the appointment, he was appointed as an Executive Editor HM in 2018 and was made Senior Specialist Writer HM from 2015 to 2017. Tuan Asri began his career in journalism with HM since 1993. He first joined as Sport Reporter HM. He also held several key positions including Chief News Editor HM, News Editor, Metro Ahad and Bureau Chief of Northern Region. He graduated with an Honours Degree in Communication from Universiti Sains Malaysia. Jeannie Leong joined The New Straits Times Press (Malaysia) Berhad in 2009. Her current appointment as the General Manager of Strategic Commercial Communications was on March 15, 2018. Her role encompasses enhancing and promoting brands of New Straits Times, BH and Harian Metro through marketing and brand strategy in both the traditional print and digital media, promoting Galeri Prima – as a platform not only for art exhibition but also to house art trading and auction activities. Jeannie Leong is also overseeing the Resource Centre to maximise the NSTP’s News and Image bank as an archival services on news articles, photographs and PDF copies of newspapers published by NSTP. With 23 years of experience in the advertising media industry, she started her media sales career as sales executive in an established outdoor media company in 1990. In 1992, she was promoted as Account Manager to maintain and expand the business from key advertisers. In 1993, she joined System Televisyen Malaysia Berhad (TV3) as Account Manager responsible for advertising airtime sales. Later, she was promoted as an Account Manager supervising a sales team. Jeannie was absorbed into Media Prima Berhad as Manager, Creative Marketing in 2001 where she was involved in the development of innovative campaign for advertisers with the objective of increasing revenue for the station and to create creative idea or packages for potential advertisers via brand matching between the station programmes and clients’ brand focus. Among the positions held by Jeannie Leong at MPB was Marketing Manager, Grand Brilliance Sdn Bhd (GBSB) responsible for movie sponsorship sales, planning and managing marketing activities. She also did attachment programming with LaTV, Indonesia for possible regional expansion for MPB. 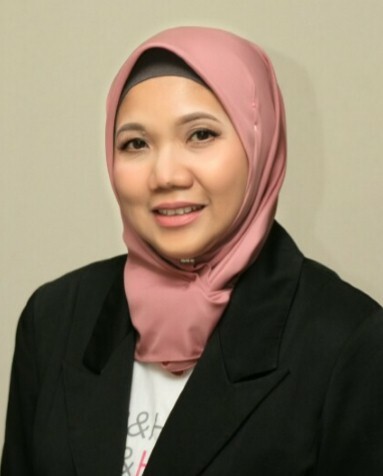 In 2006, she was transferred to Natseven TV Sdn Bhd (ntv7) as Senior Manager, Business Development/Marketing Communications to develop and manage advertising and activities which integrate various media platforms including planning of relevant on-ground events to promote the station’s brands or products. She developed innovative sales strategies and creative ideas/packages for Media Prima’s Sales Team. Before her current position, Jeannie Leong was the Head of Advertisement for seven years where she was responsible in achieving the advertisement sales targets both in print and digital. She successfully implemented and secured revenue through digital initiatives such as digital creative ad campaigns, digital branded contents and digital video campaigns. Jeannie also initiated long term sales strategies leading the team to work from traditional sales method towards new innovative digital era. Farah Ezrin was appointed as General Manager, Education Vertical of the New Straits Times Press (M) Berhad (NSTP) on October 15, 2017. As a pioneer leading the newly created department, she is responsible of development and monetisation of NSTP Education’s products including the traditional publications and digital. Farah Ezrin had joined NSTP in 2009 as Senior Manager, Advertising Sales for Special features, responsible for monetisation initiatives for all supplements titles for NST, BH and HM. In 2011, she was promoted as General Manager of Client Services & Special Project where she led the project for the new advertising Media booking system and establishes the blue-print for advertising process. She was also responsible for the setup of new unit caters for new revenue stream in area of event sponsorship. In 2005, Farah Ezrin was transferred to CH-9 Media Sdn Bhd (TV9) as Manager, Brand Management Group & Corporate Communications and she was the key player of the task force to set-up and rebrands TV9, was later then promoted as General Manager, Brand Management, Special Project & Communication in 2007, managing and monitoring the brand product and communications. Farah Ezrin started her career as Marketing executive at Sistem Televisyen Malaysia Berhad (TV3) in 1996. She was then promoted as Head of Marketing in 1999 to manage and optimise airtime and sponsorship sales for TV3. In 2004, she became a Manager of Brand Management Group and responsible for the mass market brand specifically on in-house entertainment and foreign syndicated magazine & documentary program. She graduated with a Business Degree majoring in Economics from Mississippi State University. 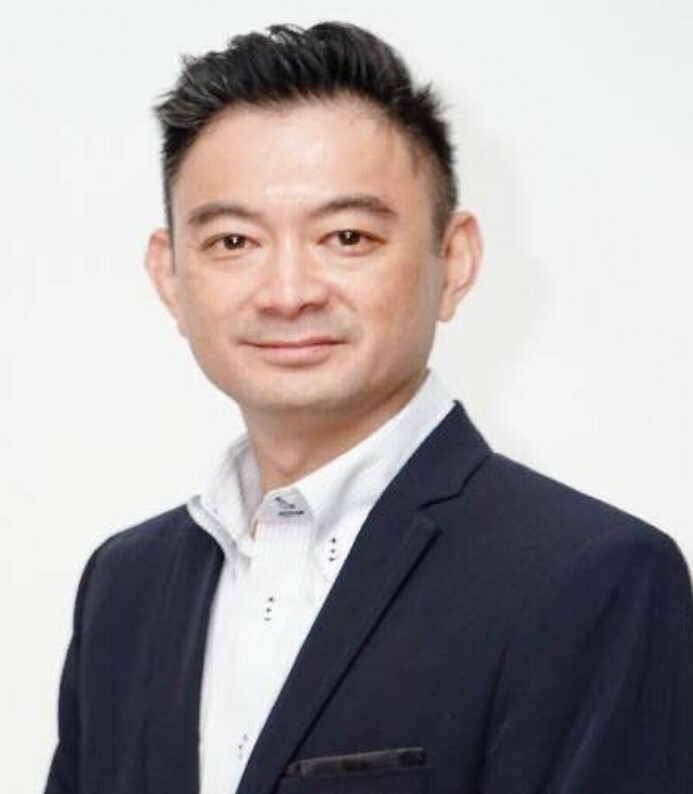 Roche Chew was appointed as General Manager, Advertising on March 15, 2018. Prior to this appointment, he was the General Manager, Agency & SME, a position he held since 2015. In his new capacity, Roche will spearhead the development, communication and execution, as well as ensuring the sustainability of the company’s strategic advertising initiatives, with a special focus on digital advertising. Having joined the company in 2010, Roche has been instrumental in the overall planning, development and integration, as well as the execution of NSTP’s advertising business plans. He has also been chiefly responsible for the company’s overall ad sales via advertising agencies and SME’s clients. With over 18 years of experience in print, magazine and TV advertising, Roche has achieved multiple creative breakthroughs and contributed in transforming the company’s advertising department into an agile, modern and commercially focused outfit it is today. Being instrumental in pioneering the Publishing Creative Solution, Roche helped introduced the first 3D newspaper in Malaysia, as well as oversaw the execution of the first 5D newspaper campaign. The 5D, which represents the five human senses including 3D, Talking, Scented, Pop-Up & Taste, has won numerous industry awards and accolades. Having started his career at China Press Malaysia in 2000, Roche later joined Sistem Televisyen Malaysia Berhad (STMB) in 2007. There, he worked with multiple media agencies and developed strong relationships with clients from FMCG (fast-moving consumer goods) industry as well as telcos. Roche graduated with a Business Management degree from Western Michigan University, USA. Sazali Hashim is the General Manager, Sales, Production & Distribution for The New Straits Times Press (M) Berhad. He was appointed to the position on January 1, 2018. As the General Manager, Sazali oversees the Production department, ensuring the efficiency of the print division. He reports to the CEO of NSTP. He has more than 30 years of experience in engineering and production, starting his career in Minolta Malaysia after graduating from UiTM in Electrical Engineering. He joined NSTP in 1987 as Technical Assistant under engineering department. He acquired industrial technical training program in the United States, Sweden, Germany and Switzerland. He was promoted as Engineer in 1996 and attached to the company’s printing facilities expansion project. He supervised the electrical and electronics installation and operation from 1997 until 2004 for NSTP new regional printing plants in Senai, Shah Alam, Prai and Ajil. In 2005, he was promoted as Plant Manager for regional printing plant in Ajil. 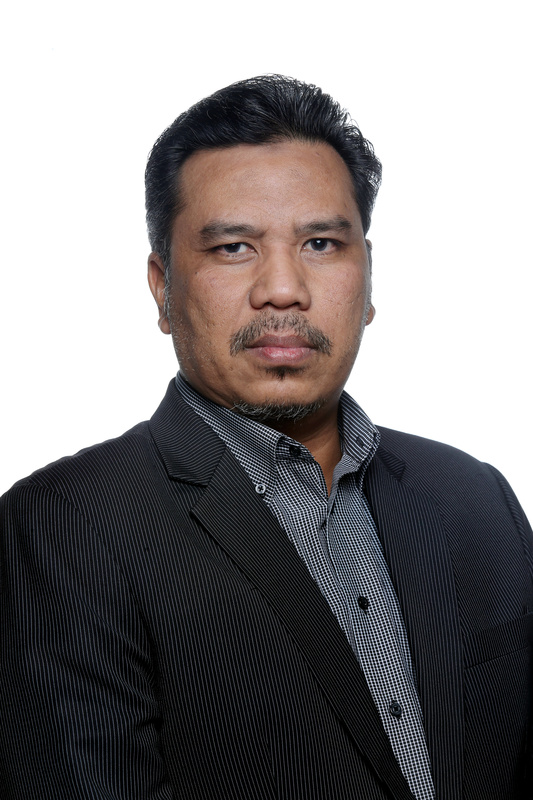 In 2008, he was transferred back to Balai Berita Bangsar headquarters to lead the printing operation and development to develop the department maintenance system, operation management and business process improvement program. When NSTP expanded its newspaper printing to East Malaysia in 2011, he was tasked to supervise the contract printing in Sabah and Sarawak. He is a corporate member of ASEAN Newspaper Printers which supports Southeast Asia newspaper industry. Apart from that, he also sits in the technical evaluation committee in developing occupational skill structure for Jabatan Pembangunan Kemahiran (Percetakan), Kementerian Sumber Manusia. Under the NSTP Business Continuity Plan, he was made the Deputy Chief Recovery Officer in 2015 before being promoted as Chief Recovery Officer in 2017, in charge of executing business recovery plans during disaster. Aswan Abdul Kadir is the Head of Commercial Excellence NSTP since March 15, 2018. As a pioneer leading a newly created department, he is responsible to support the Chief Commercial Officer in strategizing, developing and executing business and operational improvement in NSTP. Prior to the appointment, he headed the Commercial Excellence Unit for Newspaper Sales & Distribution department where he had introduced and implemented various Route-To-Market (RTM) strategies to enhance the existing business. Among them were the improvements in sales processes, distribution efficiency, credit control activities and the creation of operational excellence. One notable project and the first of its kind in the newspaper industry was the new route-to-market business model of Market Execution Partner (MEP). MEP is part of a business process improvement, bringing the newspaper copies sale business into a new level through transformation process such Distributor Management System (DMS), Sales Force Automation (SFA), and Logistics Vehicle Tracking System (VTS). Added by various monitoring tools, it provided better visibility for NSTP products and support for more effective decision making. Aswan started his career as sales in PETRONAS Dagangan Berhad (PDB) and had covered major business lines including Liquefied Petroleum Gas (LPG), Commercial and Lubricant business covering B2B and B2C. His last position was in Transformation Office looking over PETRONAS Lubricant Marketing Malaysia (PLMM) business transformation, subsidiaries of PDB together with PETRONAS Lubricant International (PLI). He left PETRONAS and joined NSTP in September 16, 2016. He graduated with a Bachelor of Commerce from Murdoch University, Australia. Fadzlena Jafar was appointed as the Head, Hijab & Heels on January 1, 2019. She will be responsible for the development and promotion of NSTP’s lifestyle-centric vertical content. Fadzlena started her career at NSTP in 1996 by participating in the Pre-Editorial Training Scheme (PETS) before joining BH as a journalist on September 16 in the same year. Since then, she moved up the ladder holding various editorial positions which include; Women Editor Berita Harian (2006-2010), Education News Editor Berita Harian (2010-2013), Education Editor Berita Harian (2013-2018), Head of Content Education Vertical NSTP (2018-2019). In 2018, Fadzlena has become the first media personnel to be appointed as a ‘Munsyi Dewan’ by Dewan Bahasa dan Pustaka (DBP). With the appointment, she is recognised by DBP as a special speaker and facilitator, and a source of reference on the Malay language. She graduated with honours in Bachelor of Education in the Teaching of English as a Second Language (TESL) from University of Malaya.